Starting in 1943, the mimeographed Pollen Analysis Circular, edited from Ohio by Paul Sears, led to discussion of the content, organisation and naming of a developing discipline. This came to a head in 1944 with Ernst Antev's plea for "The Right Word" and the suggestion of the word "palynology" from the Cardiff duo of Harold Hyde and David Williams. 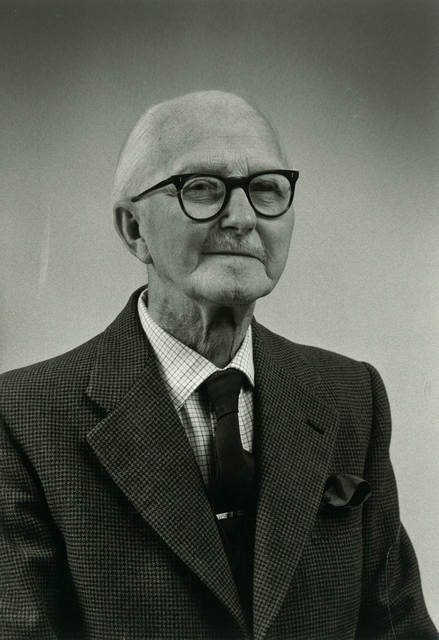 In the search for a suitable term, Hyde consulted Cardiff-based Irish classicist Leopold Richardson who advised against the word palynology and suggested six alternatives. 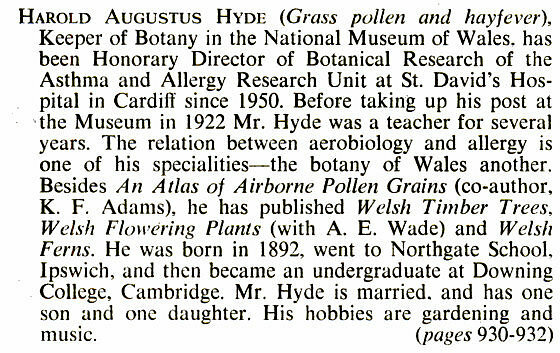 Hyde, however, was wedded to the term palynology and, in the interests of euphony and "hankering after my own offspring", was seemingly able to overcome Richardson's scholarly objections by argument. Hyde and Williams defined palynology as "the study of pollen and other spores and their dispersal, and applications thereof". Heather Pardoe principal curator in the botany section of National Museum Wales has informed us that she and co-author of that article Kevin Edwards are working on a detailed biography of H.A. Hyde and it is hoped to be published in 2018. It is really good to see that the current museum staff are interested in their predecessors and we have continuity like this. The last in the list shows how he often worked as part of a multi-discipinary team and we have references to him supporting other workers with identifications and advice in a number of articles in the Transactions. The National Museum of Wales have also during our 150th Anniversary year, published the following article on Harold Augustus Hyde's Contribution To Welsh Archaeology which gives more insight into those aspects of his work.